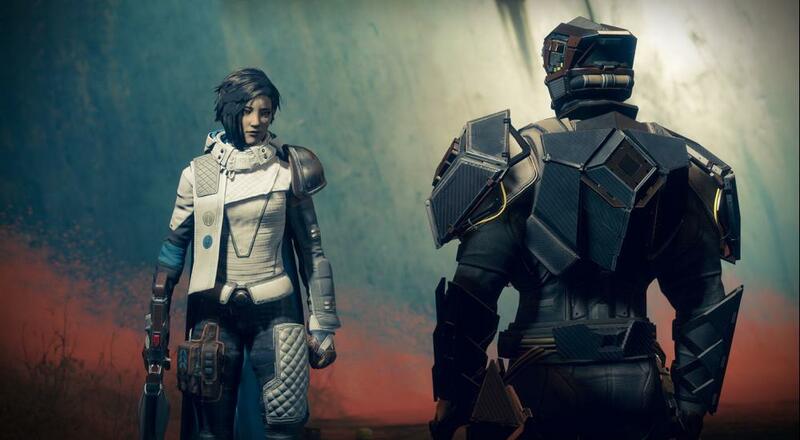 The latest expansion for Destiny 2 dropped last week, and as was the case with the "Curse of Osiris" expansion from last December, "Warmind" adds a new planet, a new NPC, some new gear, and a handful of campaign missions. It also brings with it, unfortunately, a long grind. I'm not entirely sure who Destiny 2 is for anymore, and if I'm being brutally honest, I can't tell if Bungie entirely knows either. One of the biggest issues a portion of players had with the original Destiny was that the progression to get to the Vault of Glass raid (the initial endgame content) was long and arduous. Based on the latest expansion, I guess there are a number of players that miss that kind of grind as it's relatively easy to get to the new Power Level "soft cap" of 345, but it is a very long road to get to the hard cap of 385 (or even the recommended level of 370 for the new Raid Lair and Escalation activity). Unless you're ready to have 2 alts that are both the same class as your "main" so you can freely share gear between them in order to bump up your Power Level and make the most out of those "Powerful Engrams" you get from the weekly activities, you're most likely not going to get anywhere near that 370 level for several weeks. And hey, I get wanting to reward your most dedicated players with a tough challenge, but the problem is this: once they conquer that challenge, then what? Bungie still hasn't answered that question for anyone playing the game. Once you get to the mountaintop, there's not a lot to do. Granted, the new Esclation activity has some promise of providing players with at least something interesting to do if you're not able to get 5 other friends together for a few hours to raid. These triggered Public Events on Mars allow anyone to participate that's in the Public Space, so there's a good chance that there will be a few players around to help out. However, you also have to hope that the group is determined enough to push through to the bitter end, as you'll only get rewards from the activity at the conclusion of the 3rd and 5th "levels" (i.e., waves of enemies). When Destiny 2 first launched last September, I had hopes. Destiny had its bumps along the way but ended at a pretty good point overall. I assumed that much of what was learned and done for the original would roll into the sequel. Then the title came out and while there were some noticeable improvements, there were also some worrying signs. Those didn't go away with "Curse of Osiris" and, unfortunately, haven't gone away with "Warmind" either. There is a beautiful, fun shell around Destiny 2 that keeps me interested enough to hop in every so often to shoot some guns and play with friends, but the moment I try to go past that outer layer into something deeper, I find nothing. It's just an empty abyss... and I think it's starting to stare back. Page created in 0.2870 seconds.